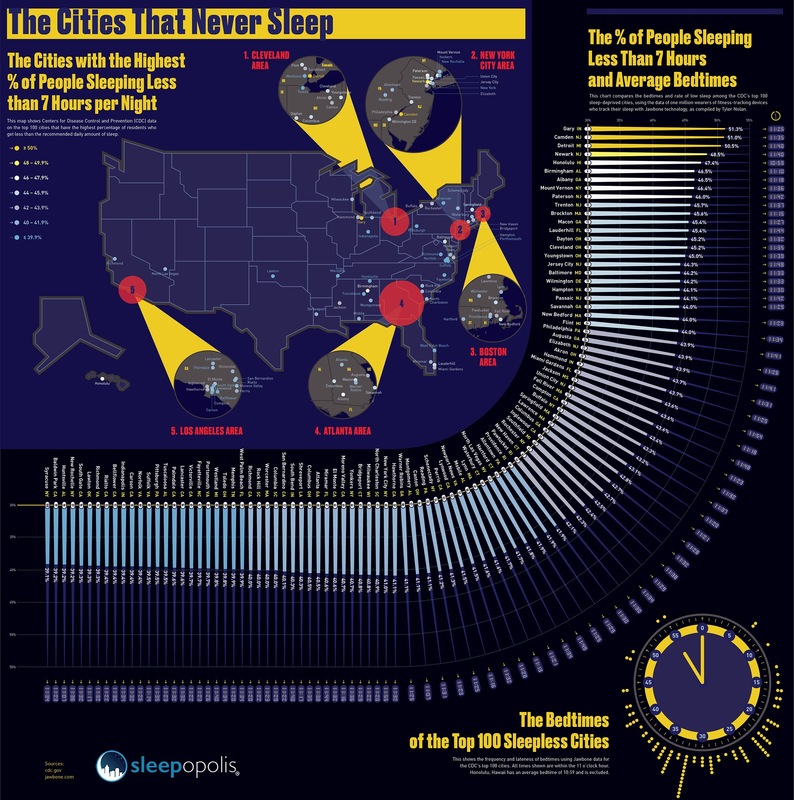 The Cities That Never Sleep #Infographic ~ Visualistan '+g+"
Do you live in a city that never sleeps? With CDC and Jawbone data, mattress review company Sleepopolis.com has delved into the places in the United States that simply can’t seem to get enough shuteye. The recommended daily amount of sleep is about seven hours, and in these parts of the country, huge portions of the community don’t get that daily need. While it’s been estimated that modern Americans don’t get quite as much sleep as our 1940s counterparts, some people in certain parts of America get far less sleep than others. In some communities, like Gary, Indiana, more than half of the population gets less than seven hours. 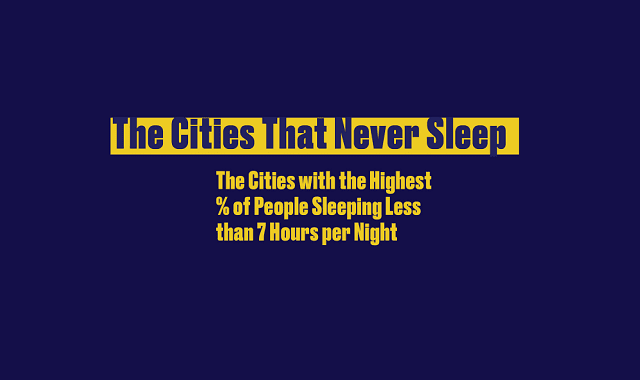 We also looked at when people in these cities fell asleep, on average. Honolulu locals like to hit the hay early at 10:59 p.m., while certain places like Union City, NJ, don’t get to bed until nearly midnight. Check out this data visualization from Sleepopolis to see if your local community is one that's not getting enough sleep!